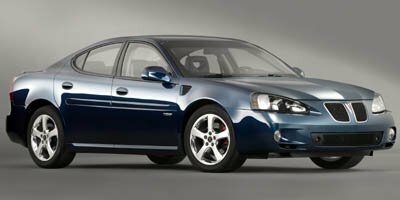 Description Matt Bowers Chevrolet has a wide selection of exceptional pre-owned vehicles to choose from, including this 2006 Pontiac Grand Prix. The incredibly low mileage and painstaking upkeep on this Pontiac Grand Prix makes it a once-in-a-lifetime deal that won't last long! Call us today to reserve your test drive! The quintessential Pontiac -- This Pontiac Grand Prix speaks volumes about its owner, about uncompromising individuality, a passion for driving and standards far above the ordinary. There is no reason why you shouldn't buy this Pontiac Grand Prix . It is incomparable for the price and quality. You've found the one you've been looking for. Your dream car. Lifetime warranty is a limited Powertrain Warranty. Owner must follow manufacturers recommended maintenance on new vehicles as per owners manual. Covers select pre-owned vehicles five calendar years old or newer, with 80,000 miles or less. Other restrictions apply. See dealer for warranty details.